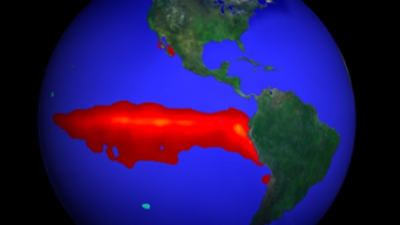 El Niño refers to a climate cycle in the Pacific Ocean that has a global impact on weather patterns. The name, which loosely translates to ‘Christ child’, traces its origin back to Peruvian fisherman in the 1600s, who observed that fish yields would often decline around Christmas time as sea water temperatures rose. 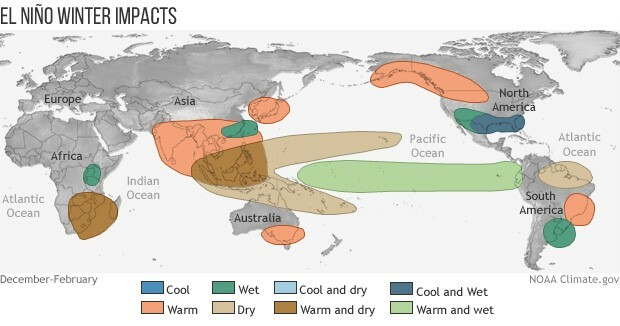 The effects of El Niño include specific wind patterns across the Pacific Ocean, heavy rain in South America, and droughts in Australia and parts of Asia including India and Indonesia. With the National Oceanic and Atmospheric Administration (NOAA) forecasting a 96% probability of an El Niño weather event during the current Northern Hemisphere winter, there is a strong chance that we could see some weather abnormalities in the coming months. El Niño can have a significant impact on the fortunes of the agricultural industry, as the growing of agricultural products is highly sensitive to weather patterns. The right amount of sun and rain at the right time is important to produce the optimal yield. For example, droughts can ruin a crop because of insufficient water, while floods can wash away plants, or delay the process of harvesting a good crop from the ground, causing it to spoil. While El Niño can have a considerable effect on agricultural commodity prices, the specific impact on the price of any individual commodity will depend on the El Niño’s amplitude and timing, as well as locational factors such as where the crop is grown and how prepared the farmers are for extreme conditions. When assessing likely El Niño effects, the first step is to consider the time of the year that El Niño is likely to begin. In this case, the NOAA believes that the event is likely to arrive in the Northern Hemisphere winter this year, but there is a good chance that it could linger into the Northern Hemisphere summer with a lower intensity. The next step is to assess which part of the crop cycle it will affect. According to research by Iizumi et al., a weather disturbance during the ‘reproductive’ growth period of the crop cycle tends to have the largest impact on crop yields. Agricultural commodities that we are bullish on in the event of an El Niño include sugar, cocoa, and wheat. 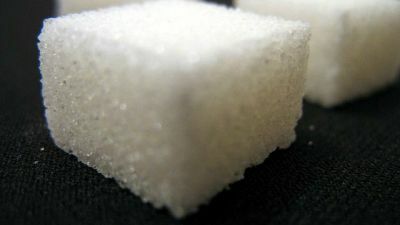 Sugar production is highly concentrated in India and certain regions of Brazil. If El Niño occurs, it’s likely that both countries could see below-average rainfall and drier conditions, and this could drive prices higher. Indonesia, which produces 10% of global cocoa supply, could also be directly affected by an El Niño, and dry warm weather in Indonesia could potentially drive cocoa prices higher. Australia, which produces 4% of global wheat supply, is another country that could face dry weather if El Niño emerges. This could have a positive impact on wheat prices, although much of the wheat harvest is expected to be completed by mid-January, which should limit the impact of an El Niño. In contrast, we are bearish on soybean, corn, and Arabica coffee. 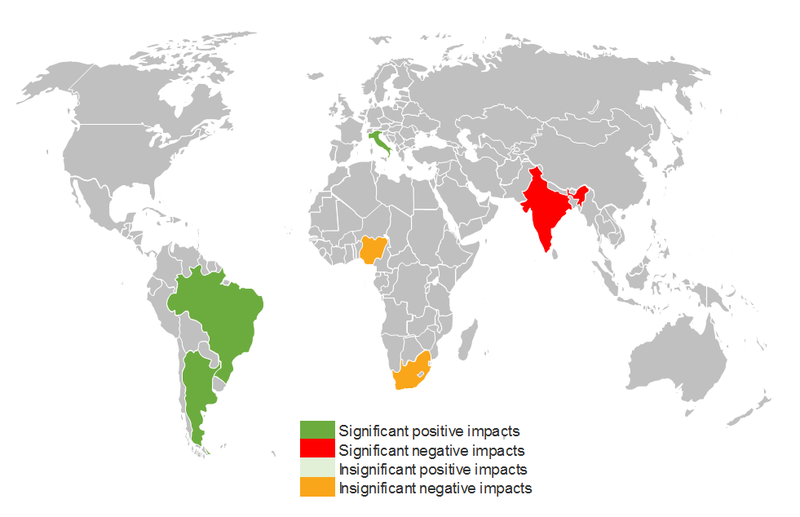 Brazil and Argentina, who together are responsible for almost half of the world’s soybean supply, are likely to experience favourable growing conditions in the event of an El Niño. As such, an El Niño could prove to be price negative for soybean prices. The effects of El Niño on corn are less significant, but could be mildly positive for growing conditions in South America and parts of Australia, and hence slightly price bearish. Arabica coffee production is highly concentrated in Brazil, Mexico, Colombia and Central America. These countries could experience favourable growing conditions, and given that most of the coffee in these regions will be in a reproductive growth phase in the months ahead, we could see a positive supply shock to the commodity, which would be bearish for prices. We caution that the analysis above is based on the pure effect of an El Niño event and does not consider the many other factors that can impact crop yields. 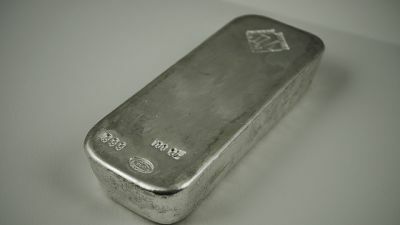 We’ll also point out that agricultural commodity prices can be affected by a number of other developments such as exchange-rate movements and trade policies. 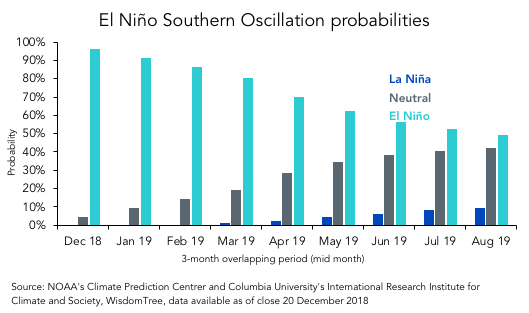 However, the analysis is useful as a rough guide as to how commodity prices could potentially be affected if we do experience an El Niño event in the near term. Är det dags att köpa socker? Vad är skillnaden mellan WTI och Brent olja?